The School is built on a vast two acre campus. The school’s vision for its students, the methodology used to impart education, together with modern infrastructure and other facilities provided, create a learning environment that facilitates academic, physical, moral, social, and emotional development of a child. Kingston High is a co-educational Minority Institution having classes from Nursery to Grade 8 for the academic year 2018-2019 and is affiliated to the Council of the Indian School Certificate Examinations, New Delhi (ICSE Board). In the ensuing years the School will grow into a K-12 School. The Members of the Trust, the Advisory Board and the Board of Management are committed to providing to every student, education that works on the strengths of the past, the innovations of the present, to meet the challenges of the future. Parents must collect the School Prospectus and Application Form paying the registration fee. The same can be downloaded from the school website. The form then must be duly filled and submitted in the office by the date specified. A meeting will then be scheduled with the Principal. NOTE: For admission into Nursery LKG UKG and Grade 1, there will be an informal interaction with the child. For Grades 2 to 6 a written test in English, Mathematics and II language will be conducted. 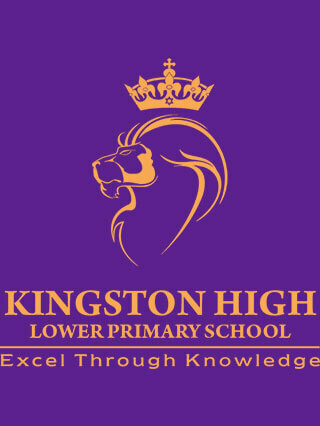 How did you get to know about Kingston High ? Extremely satisfied with the extra curricular activities done at school, other than the academics is making Ayush even more active. Thank you all. Kingston High is the Best School in Bangalore. They always come with innovative thoughts. My two Kids are studying in this school. Very nice environment. I have been recommending Kingston High to my family and friends. Very friendly and approachable management. Truly lucky to have found a school like Kingston High in the vicinity. Overall great focus on kids development. A good syllabus making it interesting for the students, their Leap Start program(games) is something the kids look forward too, not forgetting their massive play ground. Also the way they get the kids involved in music and singing at a young age is commendable. Great job, keep it going! Kingston High school is one of the best schools in Bangalore. A new school with a different perspective.. This is a special school which makes a big difference from all others. It's not just a school, it an extended home for children and a place where they learn a lot with fun. This school focuses equally well on academics and non academic activities and kids love this school. A very safe place to put your child if you are looking at them bloom into what they really want. There isn't enough space for me to narrate my wonderful experiences with this school. I'd say place your child and enjoy the experience with Kingston High! We're delighted at the efforts and enthusiasm of the students, teachers and other staff who have done a spectacular job in organizing the children's Day event under the theme 'globetrotters'. Very impressed and best of all, the children were having a great time! Well sophisticated infrastructure with top class studying environment.